Warner Bros. sat on this Vegas-based snoozefest for a year and a half before finally dumping it into theaters as counter-programming against the juggernaut that is Spider-Man 3. That strategy might make sense if Lucky You were the Eric Bana/Drew Barrymore romance the studio is selling. (The Devil Wears Prada, which appealed to a huge female audience, did blockbuster business opposite Superman Returns last year.) But this is a guy movie, a straightforward, low-key drama about the relationship between estranged father-and-son poker players. Huck Cheever (Bana) is brash and reckless; daddy L.C. (Robert Duvall) is the kind of ornery cuss who makes a great poker player but a lousy father. Billie (Barrymore) is the girlfriend who offers Huck the kind of stability he’s incapable of embracing. 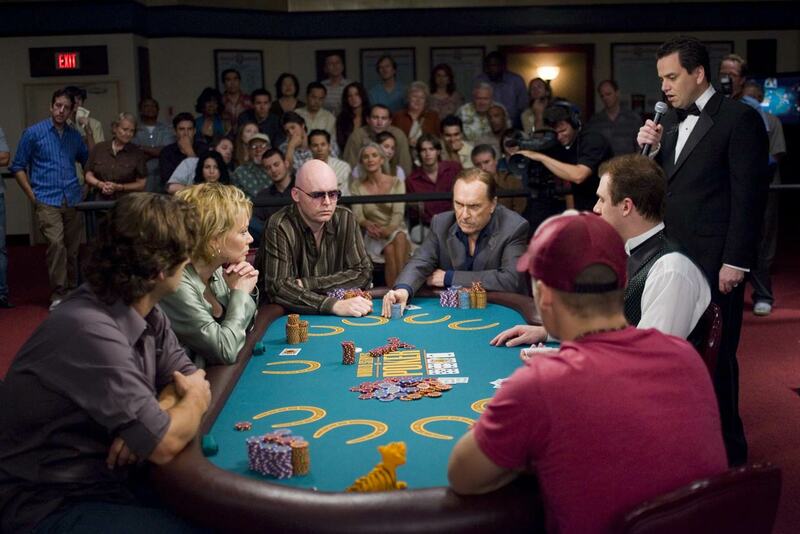 And that’s about all there is to it, despite the promise of a father-son showdown at the World Series of Poker. Huck wins big and loses bigger; Billie dumps him until he wins her over (and over) again. It may be impossible for Duvall to give a completely bad performance, but Bana and Barrymore lose their struggle with dialog dominated by increasingly cheesy poker platitudes, and the film lacks real insight into the game. CategoriesMovie Reviews Tags"drew barrymore", "eric bana", "las vegas"